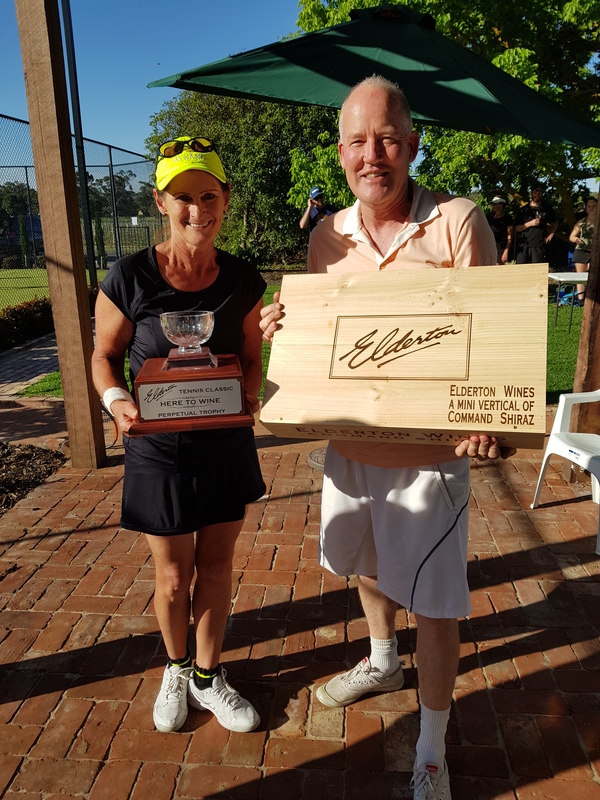 On Sunday, 11 November, the 2018 Elderton Tennis Classic enjoyed amazing spring weather for a great day of competition – the Barossa sure turned it on for visitors from across the country. 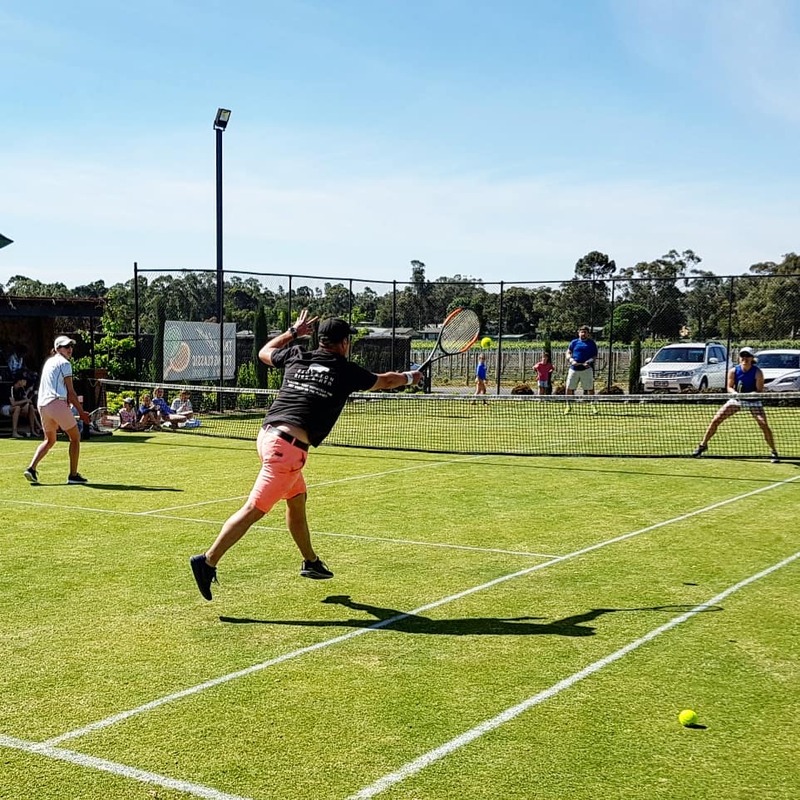 Beginning the day at the Nuriootpa tennis courts, a round robin qualifying was held with 28 mixed doubles pairs battling it out. 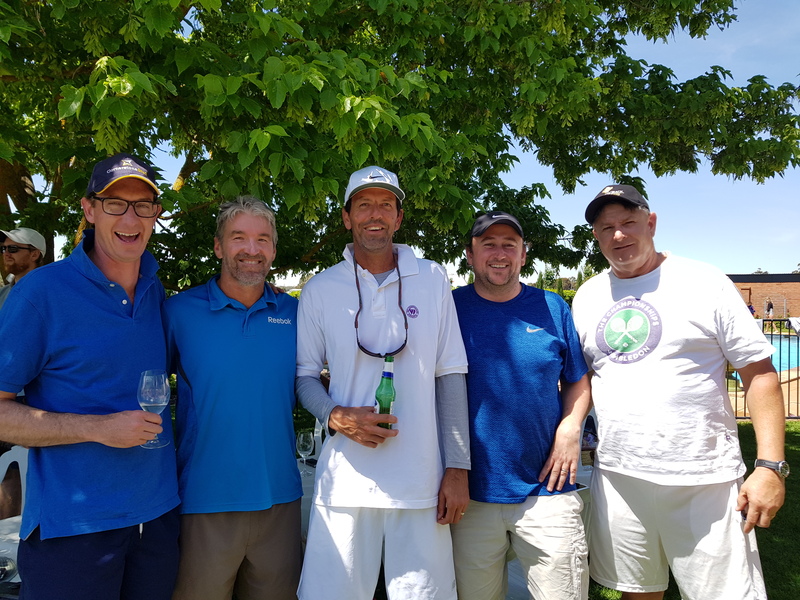 The Fast4 tournament was facilitated by Matt Zadow and his team from the Nuriootpa Tennis Club, as a major club fundraiser. 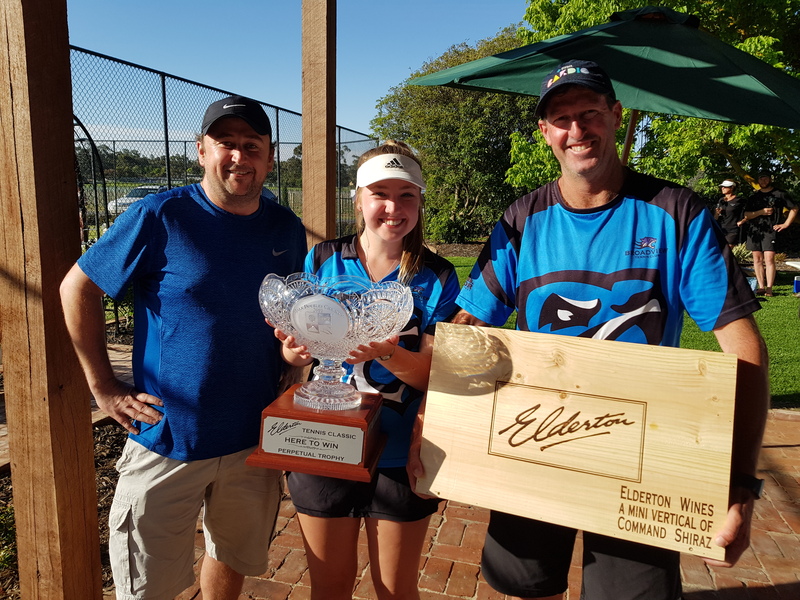 After lunch the event moved to the Elderton Wines Cellar Door, for the finals to be played on the grass court. Spectators were able to take front row seats for the finals, relax on the lawn with food by Deliciously Devious and Barossa Valley Ice Cream, and take a quick dip in the pool to cool off. 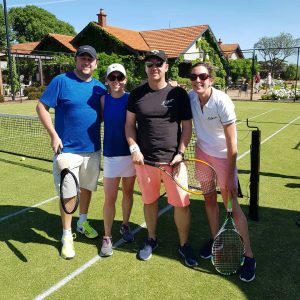 The ‘Here to Win’ category had many great competitors, with great tennis played throughout the day. The grand final saw some great rallies played and a tough fight to the final point. 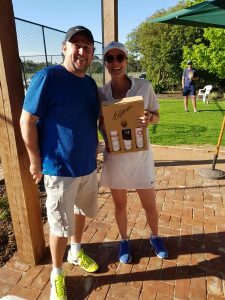 2018 Elderton Tennis Classic Champions, Martin Richards and Tessa Megaw, won a vertical of Command Shiraz and two tickets to the Australian Open semi-finals, thanks to Kia. Runners-up were James Chataway and Natalia Djukic. 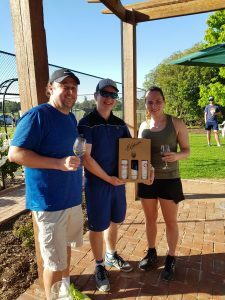 ‘Here to Wine’ category winners, Sheryl Lehmann and John Hegarty, also won a vertical of Command Shiraz. Runners-up were Emily Hayes and Casa Carboni’s own Matteo Carboni. Prizes were also awarded to Best Dressed – Lilla Berry and Steven Mikajewski and Cameron and Natalie Backman – who played in costumes all day. 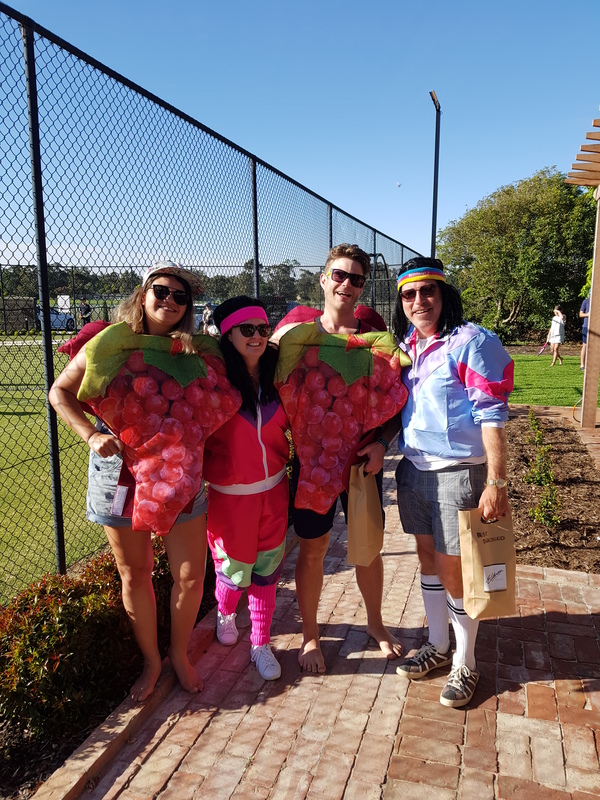 Best Commander Shot of the Day, Filiz Hordern; Most Fun, Pearl Berry and Rob Kane; Best Themed Attendance, Sheryl Lehmann and John Hegarty. Another fun part of the day was the ‘exhibition match’ – THE ASHES, where Elderton Co-Owners and Managing Directors Cameron and Allister Ashmead took to the court with their wives (Jules and Rebecca) to see who would reign supreme. Al and Bec won this time around, but be sure to keep your eye open for a rematch next year! 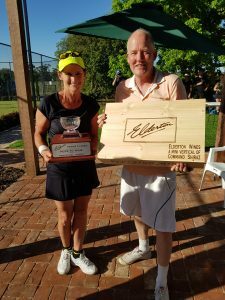 Check out the 2018 Elderton Tennis Classic gallery page for more action shots from the day. 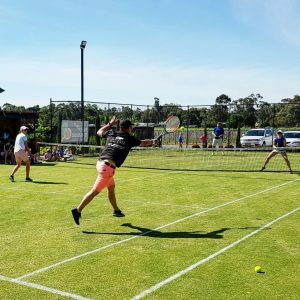 Thank you to Tennis SA, Nuriootpa Tennis Club and Kia for their support of the 2018 Elderton Tennis Classic. 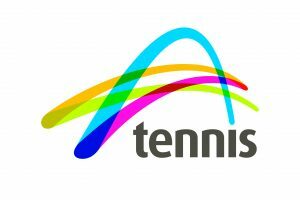 Look out for next year’s event – Sunday, 10 November 2019!